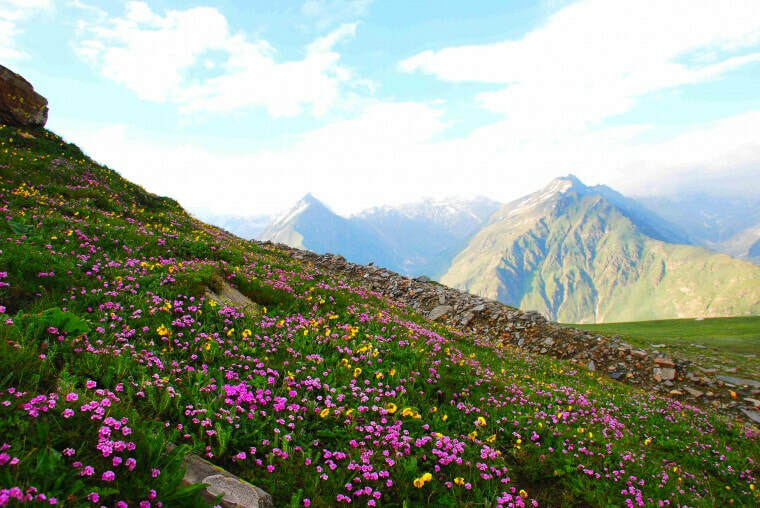 If your heart is fixed on an adventure, take a definite pass through Rohtang. Its story is in its name itself. 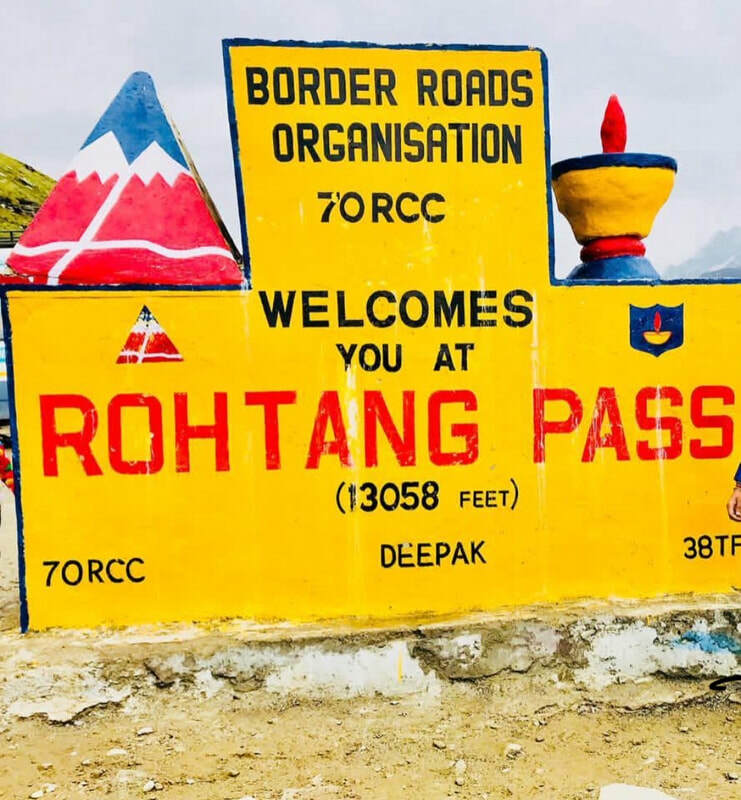 The meaning of the word Rohtang is a ground of corpses and it has been named rightly so after the many people, who have died there, trying to find a way through the pass. Rohtang is not for the faint hearted. It really is not! The huge glaciers and the striking peaks of Geypan welcome only those who wouldn’t turn their backs from displaying a little bit of bravery when needed. The pass opens only between the months of July and September. 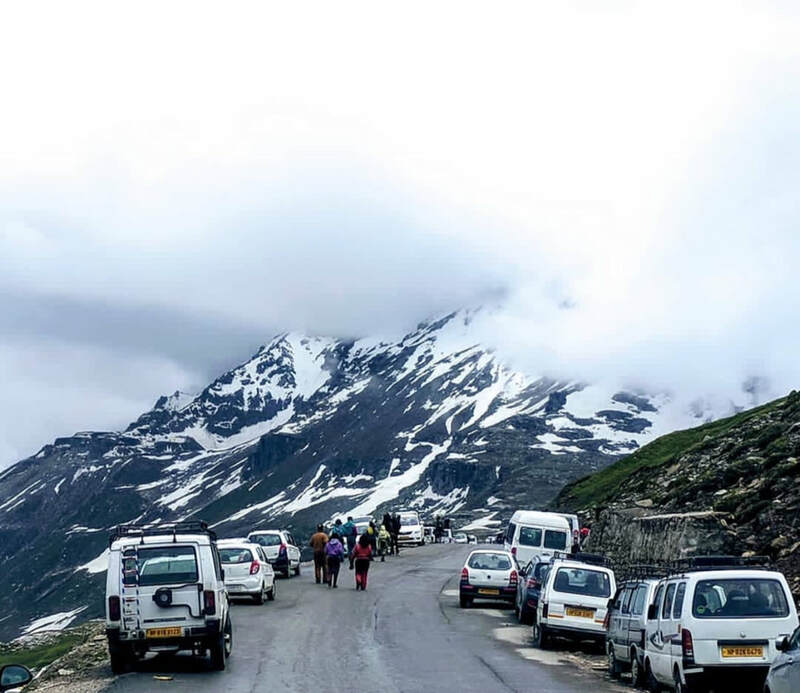 Also, as it is the only route that connects the natives of Lahaul valley with the rest of the Himachal, the road remains extremely busy during these 3 months. At 13000 feet from the sea level, Rohtang pass serves as a gateway to Leh-Ladakh. It is important to note that the pass remains shut for most part of the years and opens only during the months of July, August and September. Following NH21 from Manali to Rohtang, one can experience nature at its very best. However, the roads aren’t a child’s play. If you are not used to driving on such dangerous roads, you are advised to hire a taxi to travel to and fro. If you are looking to travel beyond Rohtang pass, you are expected to take a travel permit first that will cost you about Rs. 500. 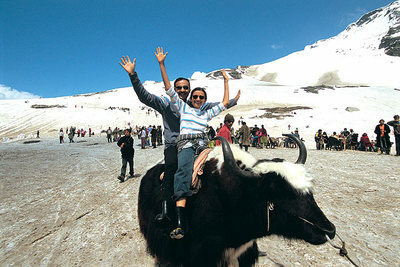 You will have to take a travel permit to travel to Rohtang pass as well. On the way to Rohtang is the Solang valley that holds the heart of the entire state in the grips of its adventurous sports and sceneries. Another beautiful spot that comes in the way to Rohtang pass is the Rahala waterfalls, located 16 km from Manali. It is a perfect place to get a family photograph clicked. 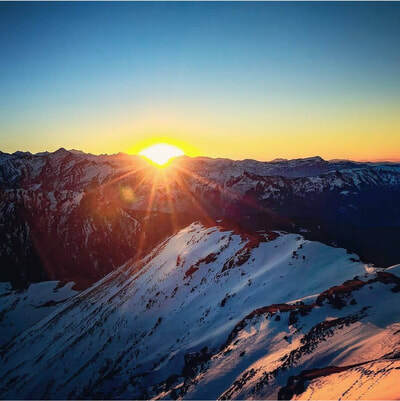 Just beyond the stunning Rohtang Pass is the Sonapani Glacier and the twin peak of Gaypan, which is known for its panoramic view and peaceful atmosphere. People visit this spot to have some refreshing moments purely in the arms of mother nature. Some people also visit the famous Beas Kund, the source of the Beas River and a holy site for Hindus as the same is easily accessible from the Pass. It is believed that the sage Vyas used to meditate at this site. Places Covered : Kothi, Gulaba, Rahala Fall, Marhi, Rani Nala and Rohtang Pass. ​Pass is located on the highway to Leh 51 Kms from Manali, This is a definite side tip to under take depending on the time of your visit. The roads to Rohtang Pass are open and safe for travel only from May-mid September.There are other forward journeys that can be undertaken for further into Leh and Ladakh. • In a week (Tuesday to Monday) only 3 permits can be obtained for each vehicle. No Vehicles are allowed on TUESDAY as the day is marked for maintenance of Pass. • Vehicles having wrong information on permit as compared to valid proofs will not be allowed to cross the barrier.